Size/Color: Table/WeatheredGrey/Chrome This item is currently out of stock! A perfect contemporary set for the kitchen or dining room, this table and chair set brings unique style and design. 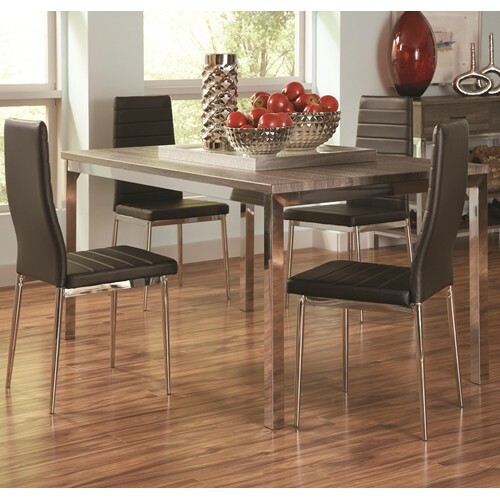 Featuring an easy to care for weathered grey table top with chrome finished legs and side chairs upholstered with black leatherette, this table will provide a unique dining highlight that stands the test of time.